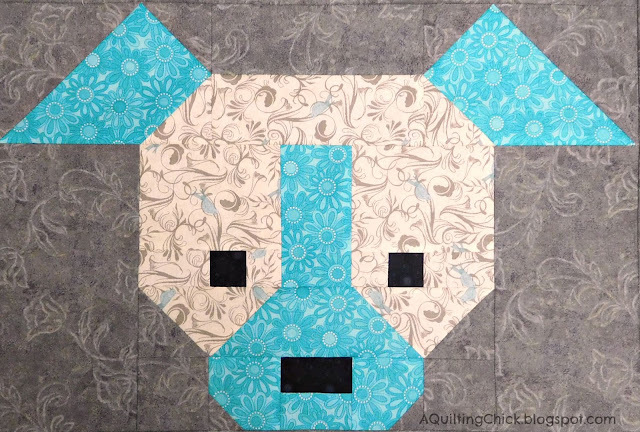 A Quilting Chick: Dog Gone Cute Blog Hop - a Finish and a Giveaway! Hey y'all! 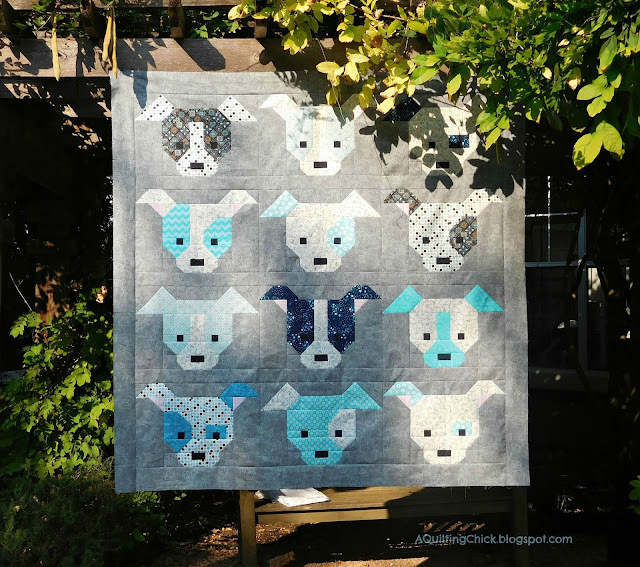 Thanks so much for stopping by for the Dog Gone Cute QAL Blog Hop being hosted by Lorna over at Sew Fresh Quilts! I must say that I've been super excited about participating in this event and have been dying to show you my quilt! So without further ado, let's start with a recap of my blocks. So cute! I don't know how anyone could resist these little guys! I think that last one there is my favorite. Such a sweetie! And those polka dots!! Had to have polka dots! Isn't it fantastic!!! There is a big argument going on between my daughter and I over who gets this quilt. I think it will find a home in my living room. I just can't let it go! I just love these guys! Thanks again Lorna for such a wonderful pattern. These guys are soooo cute! Now be sure to hop on over and see the other projects that are being shared today. And to celebrate....let's have a giveaway!! I have a fat quarter stack of 12 lovely batiks just waiting to go to someone. All you have to do to enter is leave a comment telling me which dog is your favorite. For a second entry, just follow me, either my blog or Instagram, and comment telling me how you follow. That's it! I'll draw a winner at the end of the blog hop on the 30th. Good luck everyone and thanks again for stopping by!! I'm linking up my finish today with Quilt Story for Fabric Tuesday, with Freemotion by the River for Linky Tuesday, with Blossom Heart Quilts for Sew Cute Tuesday. 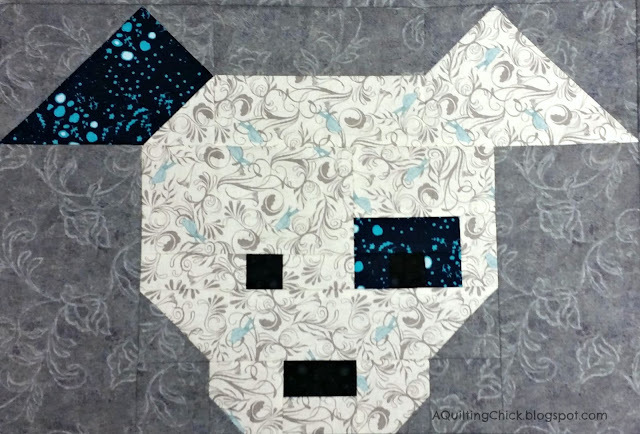 And on Wednesday With Lorna over at Sew Fresh Quilts, our designer and blog hop host! And on Thursday with My Quilt Infatuation for NTT. And Friday with Crazy Mom Quilts, Can I Get a Whoop Whoop at Confessions of a Fabric Addict, Link a Finish Friday with Richard and Tanya, and Fabric Frenzy at Ft. Worth Fabric Studio. Also! Don't forget about our monthly leader/ender linky party! I'm running a bit late but it will be up today. Grab a button and come show off your leader/ender progress. 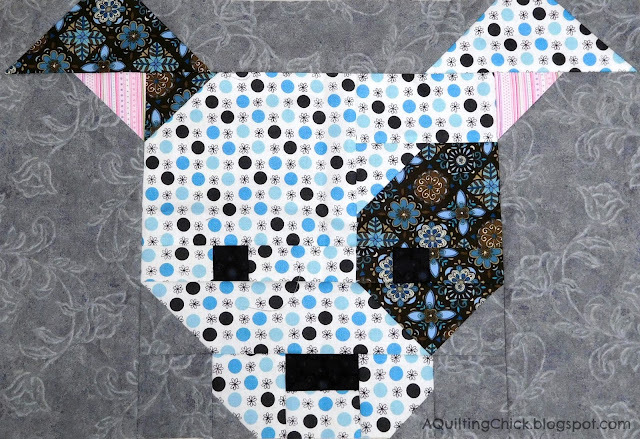 I liked #3 the most- blue & black dots with blue/black print ear & eye spot. I already follow your blog and love seeing what you're up to. 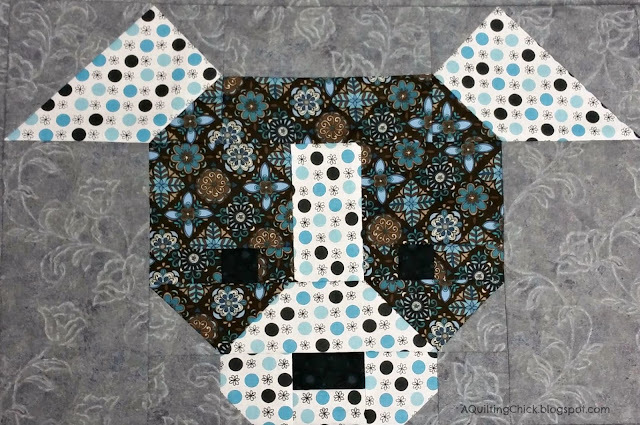 I love the patterned doggie on the top left. He reminds me of my black dogs with their white noses! Congrats on your finish! Great fabrics, Cathy. I love the navy blue dog the most. My eye goes right to it in the quilt. I also love the dog with the navy blue rectangle eye. Cute cute cute! I follow you via Blogger. Thanks for the chance to win! I think it is impossible to pick a favorite as they are all so adorable. 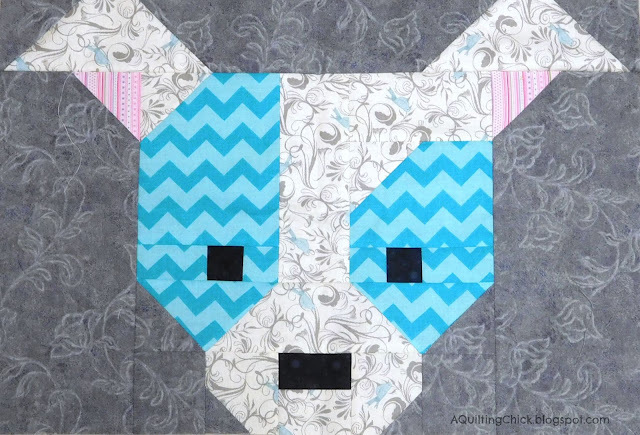 Love the blue fabrics you chose to make this beautiful quilt! What a joy it has been to follow your progress as your litter of pups increased in size, Cathy! My favourite is Dog #11. But they are all so Dog Gone Cute, it was not an easy choice! 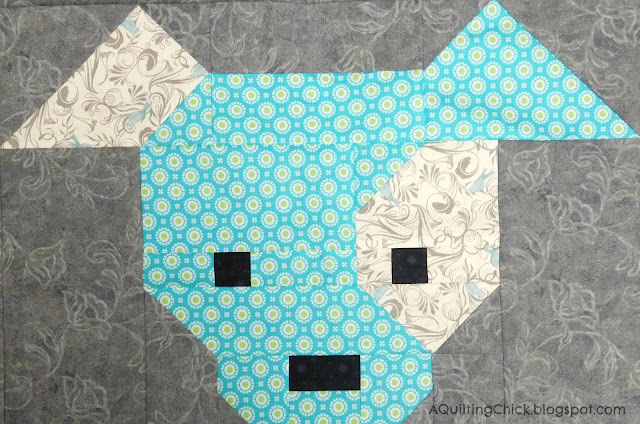 Thanks so much for quilting along! they are ALL Absolutely Adorable!! but #12 has won my Heart! :) Was like picking from a Litter...soooo hard to choose! WOW, its almost impossible to pick a favorite, they all are so cute. I guess my eye goes to the very first one. My daughter's family has two dogs that look like these - guess what they are getting for Christmas?? Oh, they are all so cute!, but the one with the polka dots and the blue around his eyes is fabulous. This is on of the quilts I can't wait to have time to do. I like the first one with the deep blue coloring. So cute! All of the pups are so sweet - my favorite is the first one that you show. Thanks! I follow you on Bloglovin. User name delliott1000. Thanks! I like the first one the best! Great job! Oh I don't know mom, I seriously think this one should end up with me. 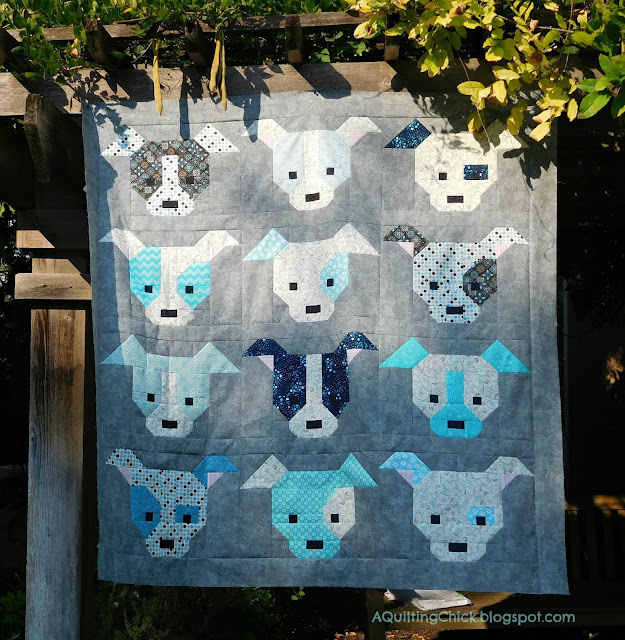 They all look too much like Nelson and it would be wonderful to be able to see my dog in quilt form everyday! Soooo! I love you! I like the top left dog best! I'll choose the 4th one you showed as my favorite, but my goodness, they're all so cute it is hard to choose! They look fabulous all put together, I can see why there is a battle to own this quilt! Your blog is new to me so I poked around a bit and saw many lovely things! I signed up to follow by email and look forward to seeing your future projects. What delightful dogs! I would adopt any one of them! I like the one in the second row, far right best. The black eye suggests a lot of personality. Your quilt just make me smile! Thanks so much for sharing it. I've been following you on Bloglovin for quite awhile. I love your quilts! Thanks for all the inspiration! Love your fabric choices!! Such a beautiful quilt! I can see why there would be a debate as to who gets it! Gorgeous quilt! Dog #1 is definitely my fave. Love your litter, the 3rd is my fave with all those sweet spots! I love following your blog, & even though I have not been doing leaders&enders this year, I love that too & hope to get back to it after I finish some flimsies! The one I like is at the bottom left with one blue ear. So cute!! What a lovely version of this quilt. I love the first and third pups can't pick a favourite. I purchased these before she posted thinking I'd find time to join in. I've got to make one! Actually I want yours! It is perfect! We had a different years ago named LEFTY because he had a patch over the left eye. These are my favorites in your quilt. Third pup catches my eye the most...but gosh adore all,if them. They are all very cute. I like the first one the best. Blue on blue. My favorite is the doggie with 2 blue ears. It reminds me most of my own sweet little furry child, Sophie. I love most dogs, but the furry one are best! Thank you for posting the individual pictures of the dogs. They are very cute. I like #8 best, but #3 is a close second. I guess I really like the fabric you used for those. The polka dot dogs are the best. I really like blue so these are great.I am going to have to make this for sure. I follow you on BL. Keep quilting you are doing some wonderful work. I love them all, fantastic choice of fabrics. Your puppies are so cute and wonderful and I think it is not possible to chose among them,as your fabric choice for each is so good done. I love how sweet your quilt turned out. Your color choices are perfect! 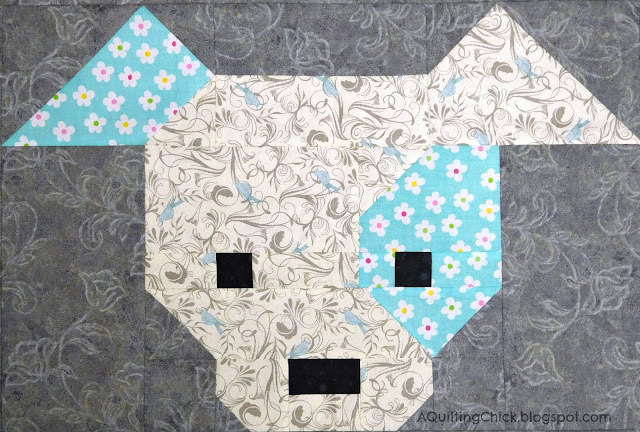 Choosing a favorite is pretty difficult, but I like the 6th pup in the quilt. I love the one with the black mask because it reminds me of one of my fur babies. 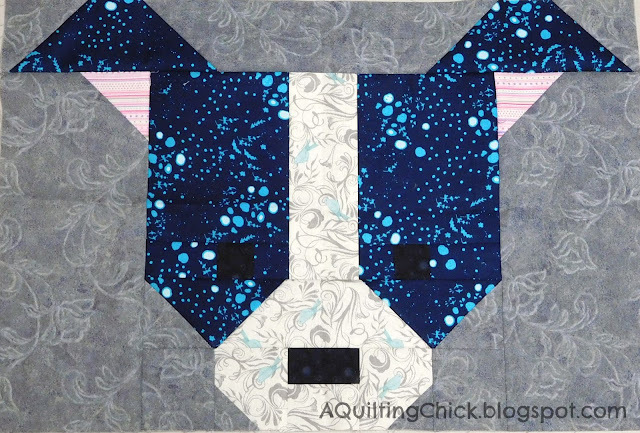 My favorite is the first picture, I love that dark blue and he really stands out in the quilt. Beautiful quilt, I love it. Oh Cath your pups DID come out adorable!! I'd keep it too!!! These pups are gorgeous!!! Fantastic finish! Your pups came out great! I love pup #2 (top middle) with the minimal color change. I'm seriously going to have to give making a version of this quilt some thought. It's just so darned cute. Oh wow, I just love the colours in all of your blocks! What a wonderful quilt, and for sure must stay in your living room! I like you first dog best - the navy fabric is great. I'm not sure I can choose just one, I love them all. But if I must choose, I live doggy #8. There is something about that brown fabric that makes me smile. I would choose the fifth image down as my favorite -- I like how even tho they are basically the same each has his/her own personality. All of the little pups are so cute... but my favorite may be #10 ! 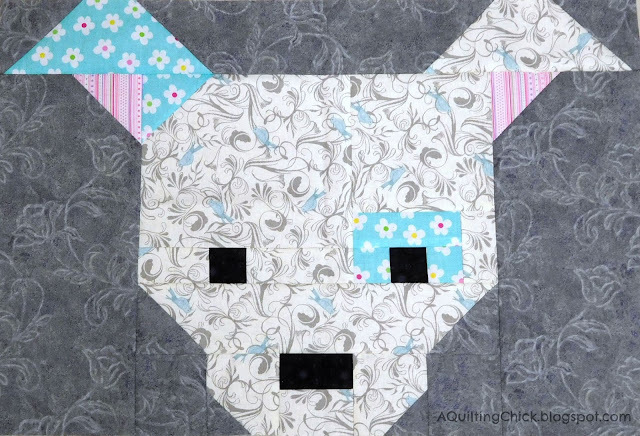 I like all of the fabrics you used in your quilt! i love the first polka dot puppy. I'm in love with all these pups! How could you choose one over another??? 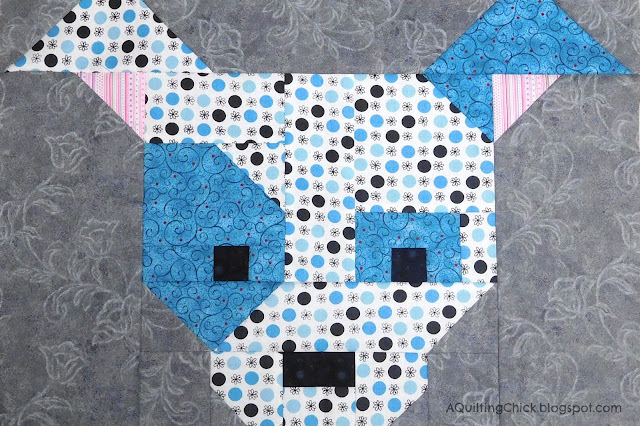 I'm making my own Dog Gone Cute quilt, with just two to go. I love your fabric selection. Mine is coming from my stash. Love your Dog Gone Cute project. The grey and blue theme really works well. Your dogs are great. I love the polka dots. Your quilt top looks great! My favorite dog is number 8. Your quilt looks great! Love the blues. I had to smile looking at each of your doggie blocks. It sure looks like you had a lot of fun picking out fabrics and making so many different ones. My favorite is block #1. Thanks so much for the giveaway and the chance to win. All of the doggies are so adorable. They go well with your blog background. My favorite is #2 which looks so sweet and innocent and then the snazzy fabric you chose for the 8th one. He looks more mature and all-knowing. I like the dog that is all blue and black polka dots with one black eye. Love the colors you chose for this quilt. Thanks so much for the chance to win. love your fabric choices, adorable litter! I like the doggie in the top left corner with the Dottie snout and ears! Cute! Very cute puppies! 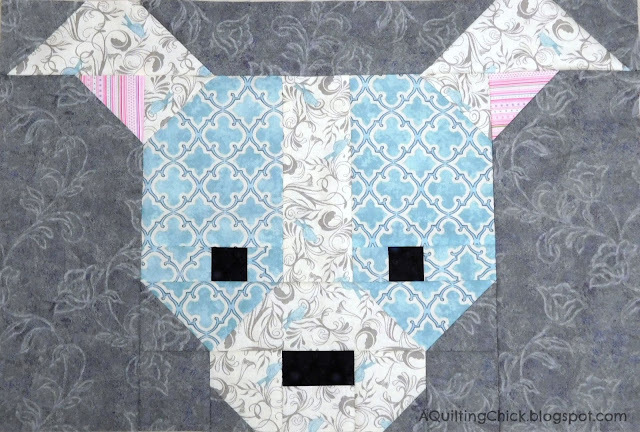 I love the blue and gray in this quilt. They are all so cute, but I really like the next to last one. Oh how I wish I had known about this one! 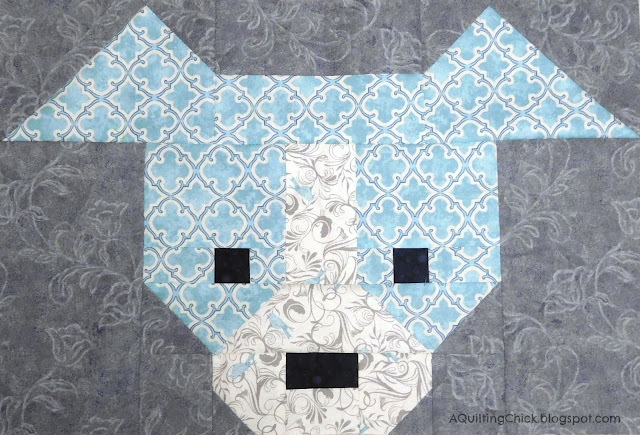 As a dog trainer and a quilter, I think I need to make one of tyese! Too cute! My favorite is the 7th one, I just go nuts for the fldots, but even more fun is the little pink inner ear showing! Cute! Cute! Cute! If I had to choose one my favourite dog would be the one in the top left hand corner .... although I like them all and love how they all look together. Would love to be entered into the giveaway. cute I have a daughter that would love this quilt. I like #6 or second row third one. I like them all! The 2nd and third ones are my favorite.